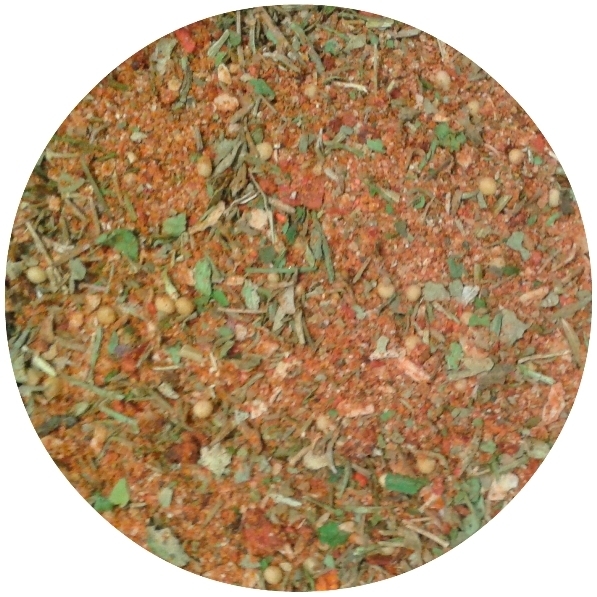 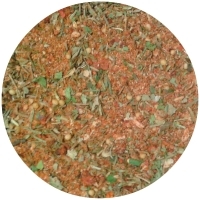 Ingredients: Red sweet paprika, white sea salt (14%), tomatoes, black pepper, white onion, garlic, coriander, white mustard, basil, parsley green, thyme. 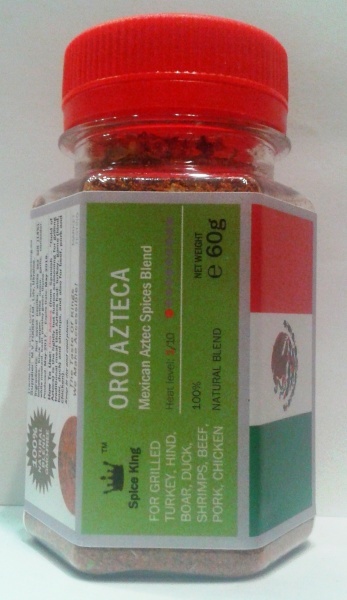 How To Use: Oro Azteca (from Spanish – “Gold of Aztecs) is the lightly hot fusion seasoning for grilling traditional meat that Aztecs had: turkey, game (hind, boar, duck) and shrimps, and also for beef, pork and chicken). 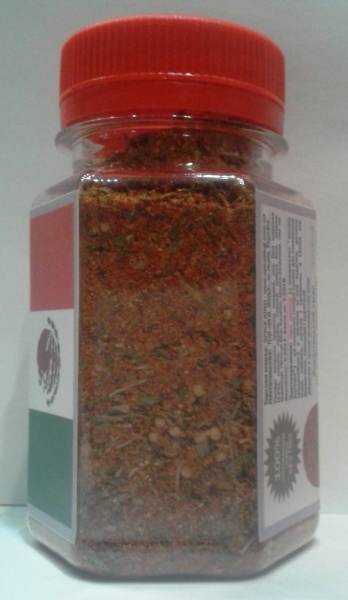 2x1L PET bottles - 1 kg net weight - USD 15.80/2bottles.